Classic heavyweight wallpaper in beige and subtle gold with a timeless scroll design adds touch of drama to any room. With its textured surface, this wallpaper is easy to hang and provides a tactile finish. Due to its moisture resistance, this wallpaper is suitable for most rooms including kitchens and bathrooms. This structured taupe and moss green stripe features metallic elements for a sophisticated finish and a linen effect infill to help camouflage minor wall imperfections. Enjoy world class dicor by globally recognized interior designer Kelly Hoppen. This wallpaper makes decorating quick and easy - just paste the wall and hang the paper and remove it in full strips when you're ready for a change. Trailing cherry blossom branches on an embossed cork background with rich metallic highlights are a unique new twist on traditional Asian florals. This paper is richly textured, giving it an old world feel. A rich gold colourway is both neutral and welcoming. This delicate sprig motif stretches over a textured neutral background for the ultimate in easy living wallpaper. The raised texture of the design gives the paper a pleasantly tactile feel. The warm taupe background and delicate white sprigs create a simple all-over pattern, perfect for adding interest to a neutral space. Pair with the Halo pattern for a coordinated look. 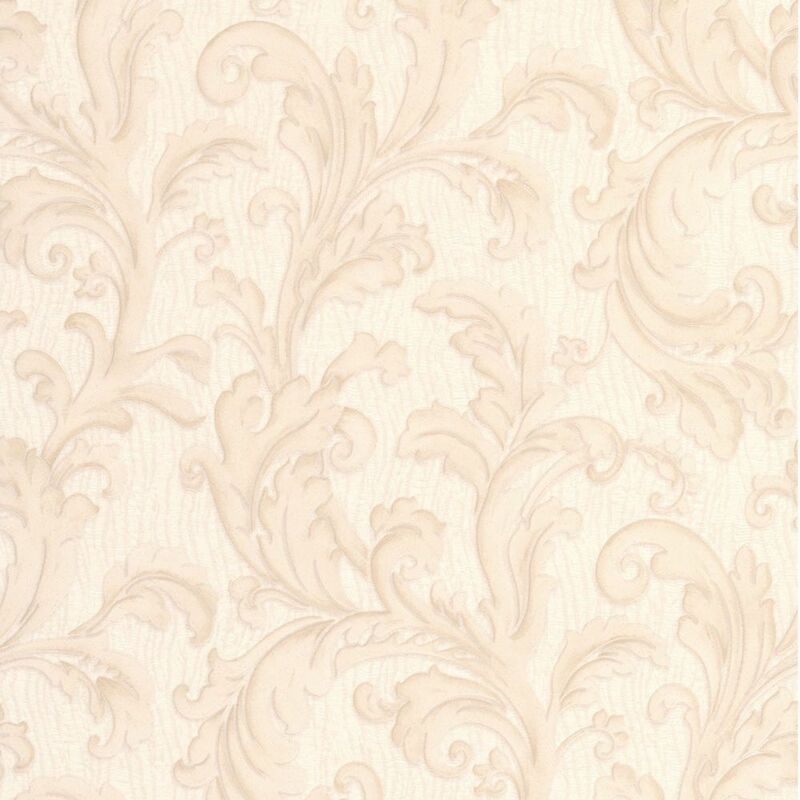 Capulet Gold/Beige Wallpaper Classic heavyweight wallpaper in beige and subtle gold with a timeless scroll design adds touch of drama to any room. With its textured surface, this wallpaper is easy to hang and provides a tactile finish. Due to its moisture resistance, this wallpaper is suitable for most rooms including kitchens and bathrooms.